As compared to other mobile apps, which witnesses way high male traction in comparison with female with a noted ratio of 52:48, fitness apps has showcased a promising 68 per cent higher percentage of female user’s engagement in comparison with male users. Insightful digital outreach assures an innovative and sustained user engagement in Digital fitness space. Growing demand for fit and toned body has encouraged fitness industry in India as a whole. Be it a young kid or elderly people, fitness has become an essential routine to keep body mind and soul active. This has shifted focus of many sharp business minds towards fitness industry, which is currently is pegged at over US$ 0.78 billion and is stated to grow at a CAGR of 25 per cent, to hit US$ 2.4 billion mark by 2015. 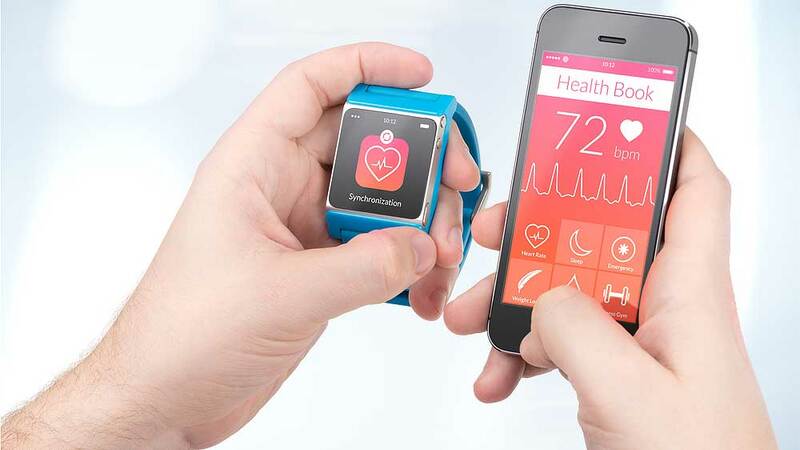 The growing fitness industry, which not only includes fitness & slimming centres, gyms and equipments, but, it now includes, health and fitness mobile apps market as well. The free versions of most fitness apps provide the space for in-app advertisements, which has been leveraged by brand marketers to promote their products. With access to crucial consumer data (user preferences, diet plan etc), the mobile apps open channels for marketers to do personalized in-app targeting. A fitness application that tracks users’ diet and helps keep a count of ones’ exercise pattern and calorie intake. The app tracks calorie intake and exercise pattern of the user and provides information with regards to a food item and its calorie content. Over 5,000,000 food database, barcode scanner to track food, automatic sync-up of Web and mobile versions to keep an updated personal diary for users are the few highlight points of the apps. Downloaded by about 10 million fitness enthusiasts so far, the app has bagged 4.6 rating out of 5. This provides sports tracking and management solution for all, regardless of age and workout experience. Designed to simple facilitate fitness freaks, the app maps workouts with GPS and monitors exercise progress. It has a personal workout diary which provides advanced statistics and graphs. The app showcases the users’ live workouts in 3D with the help of Google earth. Individual can set calorie, distance or pace goal to optimize training and can listen to music via the app from music library or other services like Spotify, Pandora, SoundCloud within the app. The app may also control with android wear and provides post-exercise summary. The app is downloaded by about 10 million fitness enthusiasts so far and has bagged 4.5 rating out of 5. It has a large selection of workout techniques, be it getting off the couch or cross-training for the next fitness competition. It keeps a track of the users’ calorie intake and workouts, shares detailed information on relevant calorie intake and provides audio instructions and progress cues during workouts. It has instructional photos and videos that explain each move in detail. The free virtual fitness consultation wizard for a customized experience allows users to create and edit workouts. Home screen widget shares a new workout every day and has a strong community of exercisers (15 million). One can try new and recommended workouts from the community. The app is downloaded by about 10 million fitness enthusiasts so far and has bagged 4.2 rating out of 5. It’s a health-tracking platform developed by Google. Google Fit uses sensors in a user's mobile device or activity tracker to record physical fitness activities like walking or cycling, which are measured against the user's fitness goals to provide a comprehensive view of their fitness. The calorie and exercise tracker also sets goals based on calories distance or duration. It connects third party devices and apps to Fit and every fitness data will be stored in Google Fit. The app is downloaded by about 5 million fitness enthusiasts and has bagged 4 rating out of 5. The app is equipped with over 2500 exercises and many pre-made workouts which can be done at home or in the gym. It contains a 3D—animated personal trainer and a continuously growing exercise database. It also helps in tracking workouts and calories and shares information on ideal intake of calories. The app consists of written exercise instructions and provides workout reminders. The users of the app may earn rewards for exercising, tracks users progress and set personal goals. Nykaa unveils its funding details..